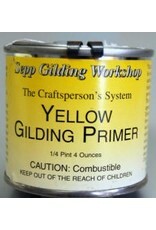 Yellow Gilding Primer is a pigmented primer for use on wood, plaster, metal and composition surfaces that are to be gilded with genuine and imitation gold leaf. It seals the surface and provides an excellent base for leaf adhesive. 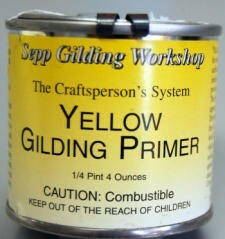 The yellow color hides any minute flaws that may appear in the gilded surface.